Angel City Janet Harvey (writer), Megan Levens (illustrator), Nick Filardi (colorist), Crank! 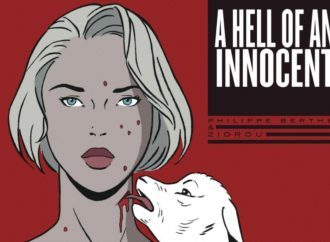 (letterer) Oni Press October 2016-March 2017, collected August 2017 The studio-era Hollywood noir thriller mystery is a very entrenched, narrow genre. Noir as an American prose and film genre originated in that time and place with books like Double Indemnity and its film remake. Miss Fury Vol. 2, #2 Corinna Bechko (writer), Jonathan Lau (illustrator), Vinicius Andrade (colorer), Simon Bowland (letterer), Tula Lotay (main cover) Dynamite May 4, 2016 Disclaimer: This review is based on an advanced copy from the publisher and may contain spoilers.